Group Information | Sankosha Co., Ltd.
Sankosha group contributes to the dry cleaning industry as a leading company of commercial laundry and dry cleaning press machines. through supplying film and hangers, tries to support dry cleaning industry from the bottom. The mission of the Sankosha Group is to make the laundry and dry cleaning industry attractive to all. Sankosha is a leading company for commercial dry cleaning machines that is supported by customers worldwide. Its main line of products is laundry pressing, dry cleaning pressing, folding & bagging machines. Sankosha gains top market share in Japan and the US. Sankosha Film & Supply Co., Ltd.
Sankosha Film & Supply is involved in film and hanger business. Sankosha Film & Supply sticks to quality and supplies at a reasonable price to support customers. 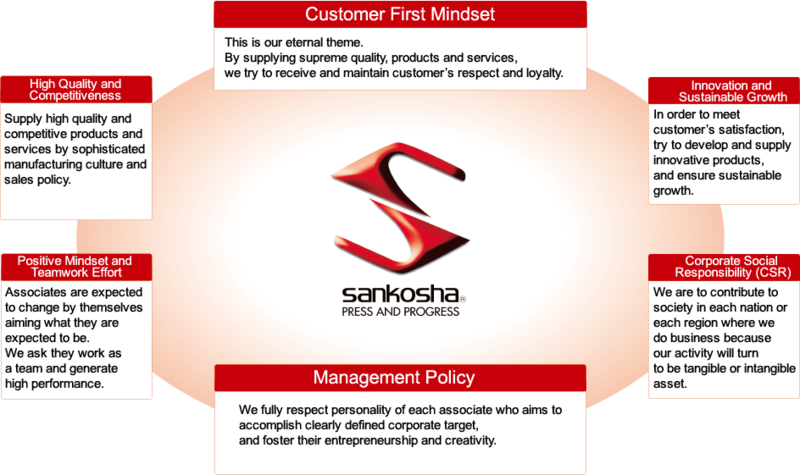 Sankosha group established a local subsidiary company in the US, Thailand, and China. Through dealership network, we supply competitive products worldwide. In the US and Europe, we have played an important role by supplying products. Our mission is to make dry cleaning business popular in rest of world.